This beautiful villa has been entirely renovated to the highest standard. The property is located in a calm and peaceful area, close to the centre of Mougins. The villa comprises of 8 tastefully decorated bedrooms with an equally elegant bathroom to accompany each. 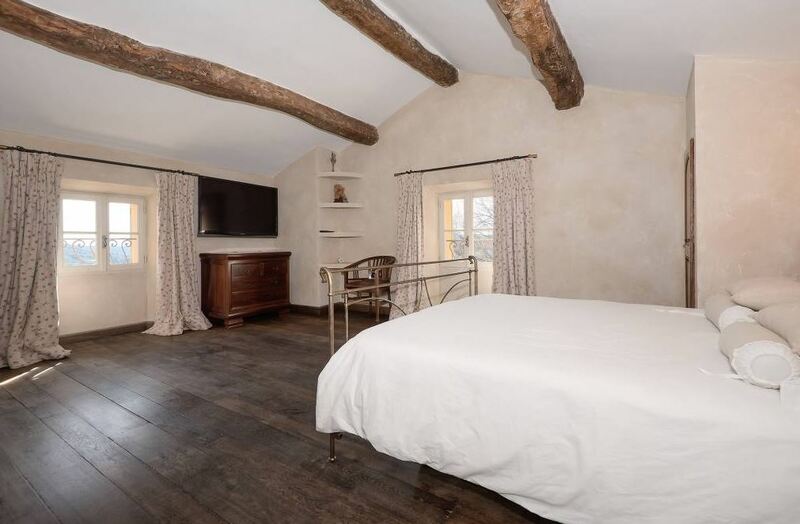 The living area is spacious with an authentic fireplace and exposed wooden beams on the ceiling. The kitchen is fully equipped with the latest appliances. The outdoor space of the property features a truly magnificent terraced area where guests can marvel at the breath-taking views. A stunning swimming pool is accompanied by a pool house, equipped with a summer kitchen, pizza oven and a barbecue; perfect for the summer months.